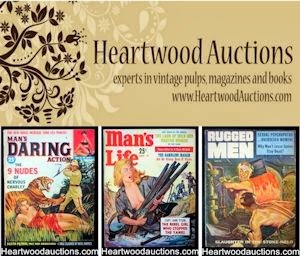 Not long ago, I stumbled across a post about men’s adventure magazines on another blog that is now among my favorites. 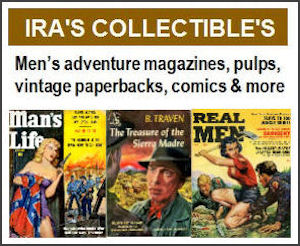 The author, Tenebrous Kate, writes very witty and interesting posts about new and vintage movies, magazines and other things that strike her fantastique fancy or suit her tenebrous tastes. Tenebrous is not a word you see much nowadays. It’s an old word that means “dark and gloomy.” It shows up, among other places, in the works of classic horror writers like H.P. Lovecraft. I’m also a fan of Lovecraft and other such tenebrous stuff. So, when I saw the name of Kate’s blog, I figured I might love it – and I do. 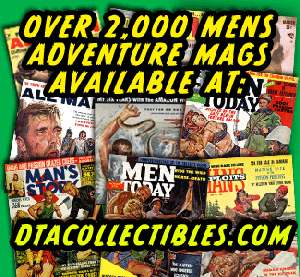 Kate’s post on men's pulp mags talks about Adam Parfrey’s book, It's a Man's World – an excellent overview of the men’s adventure magazine genre that I've mentioned here in previous posts. 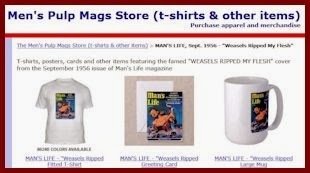 Wildcat was published from 1959 to 1964 by Candar Publishing, which also published several other men's adventure magazines, including Daring, Man's Action, Man's Daring, and Man's True Danger. 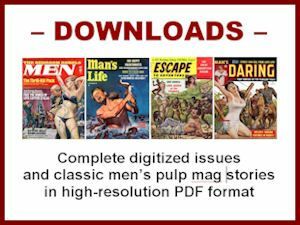 If you like my Men's Pulp Mags blog, I think you'll like Kate’s blog Love Train for the Tenebrous Empire.